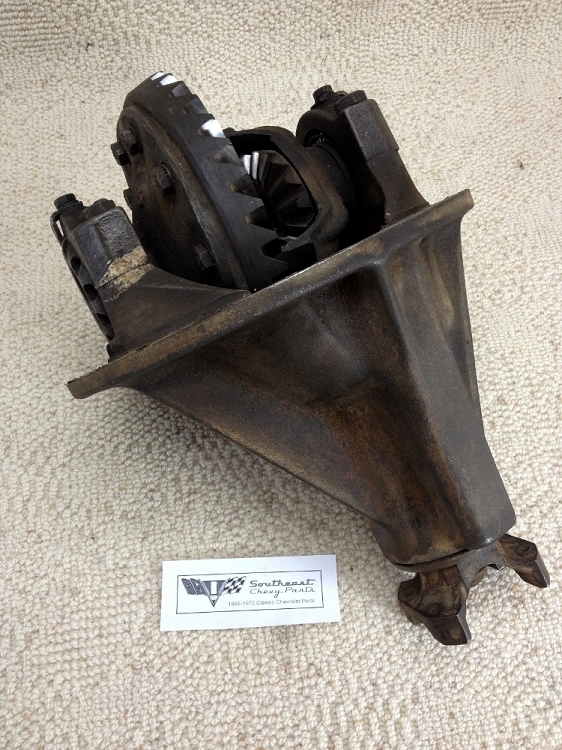 This 1955-1956-1957-1958-1959-1960-1961-1962-1963-1964 Chevrolet 3.55 rear end center section is an original used two-pinion type with cast arma-steel housing. The 10-bolt differential fits all passenger cars. We have inspected the ring and pinion so as to ensure minimal ware and tare on the differentials that we sell. Occasionally we pull in a positraction unit but most rear ends are the standard differential. "Installed higher ratio differential for better cruise performance. Good part at good price. Took my old differential in trade and also sold me an excellent front bumper at a good price. Highly recommend!" "Just replaced a tired and worn out 3:55 Third Member Diff. 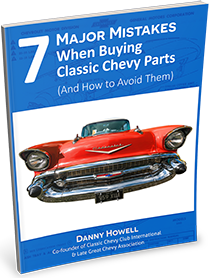 in my 55 with 3:36 purchased from Southeast Chevy Parts. Part arrived in a timely fashion and in excellent condition. What a difference it made. Good part at a fair price. Highly Recommend." "GREAT DEAL EVERYTHING WORKS GREAT REALLY PLEASED"
A: I don't believe that 1955-1964 differentials will fit into a 1938 housing. This is the first time we've been asked this question. A: 1) You need to select which ratio you want. We have them all. You will need to call to find out if we have a 3.08 in stock. A: Manoel, our parts department will contact you and help you with your order. Thanks for letting us know.